Earlier this month Only Medics, part of the Clinical Professionals Group, held their annual Physician2Pharma recruitment event for NHS medics looking to transition into the pharmaceutical industry. 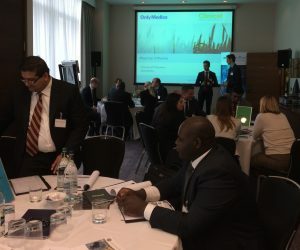 The event was invite only and attended by 40 people comprising of hand picked GMC registered physicians looking to make the transition from the NHS into the pharmaceutical industry, industry experts, representatives from the Faculty of Pharmaceutical Medicine and stakeholders looking to hire physicians. The event, sponsored by Only Medics as a Service to Industry, comprised of three workshops, a presentation followed by Q&A session, round table tasks, a speed dating exercise and a networking session. We would like to thank everyone who attended or spoke at the event.